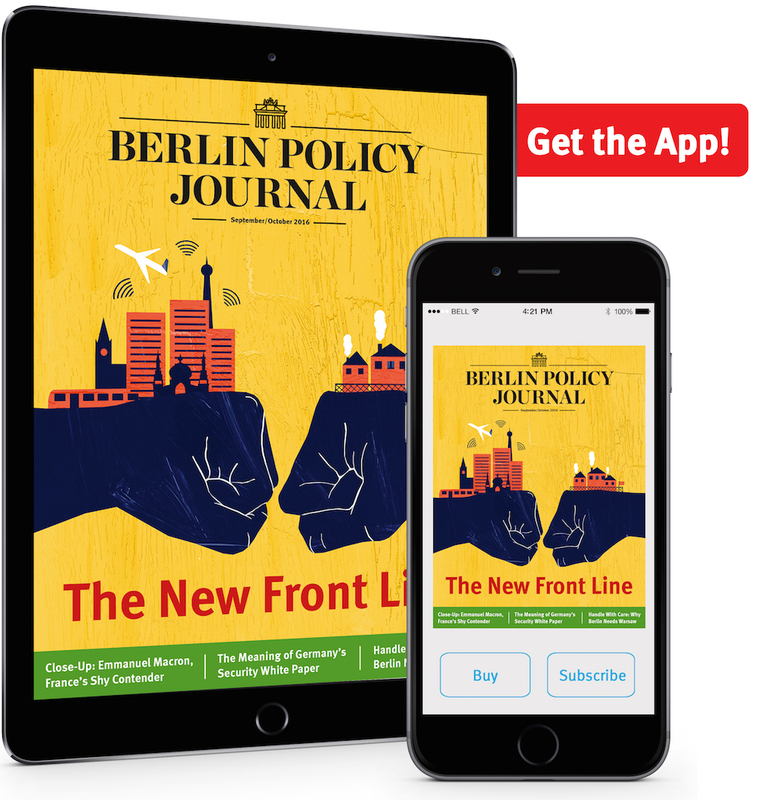 Home Berlin Policy Journal Pledge, Farce, Distant Goal? The extent of political purges in Turkey after the failed coup confronts the EU with thorny questions. Brussels should use the current tenuous signs of social reconciliation to re-engage with the reform process. “Just in: Erdogan fired everyone in Turkey,” wrote the Lebanese-Iraqi blogger Karl Sharro jokingly a few days after Turkey’s failed coup attempt on July 15. Since then, however, Sharro’s joke has become a bitter reality for thousands of Turkish civil servants. Nearly 150 generals and admirals and 6,000 soldiers were arrested in the days following the attempted coup on allegations of involvement. Subsequently, thousands of judges and public prosecutors were fired, and more than 8,000 state officials were suspended – among them at least eighty governors and inspectors. The media and educational institutions were not spared, either: the broadcasting licenses of 24 radio and TV stations were revoked, and 21,000 private school teachers and over 1,500 university deans were suspended with immediate effect. 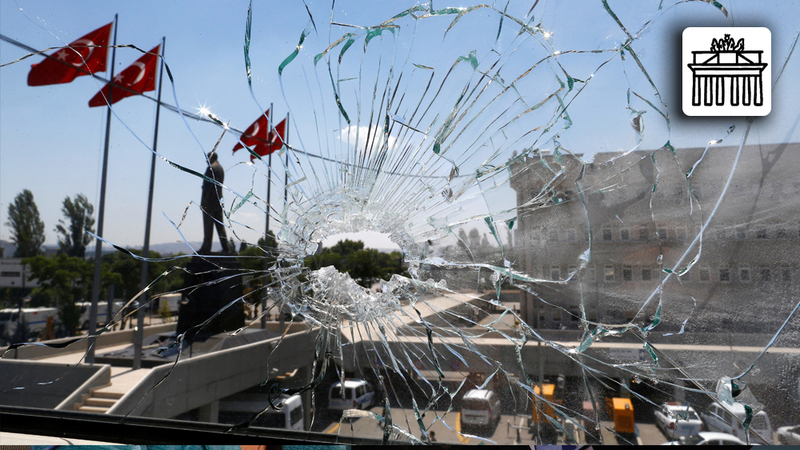 These political purges in the state apparatus are not merely a direct reaction to the coup: they coincide with previous attempts on the part of President Recep Tayyip Erdogan and his Justice and Development Party (AKP) to centralize power. Many observers are now crying foul, charging the government with using the coup to weaken or eliminate the political opposition. Erdogan’s purges are a challenge for the EU, which now faces with the same questions in Turkey that it has in Hungary, Poland, Russia, and Egypt: How far can divergences about a once shared, agreed, and ordered set of values be accepted without undermining the order itself? What are the consequences of unifying just for the sake of unity – and striking dirty deals instead of cooperation based on shared values? A Carte Blanche to Persecute? President Erdogan’s declaration of a three-month state of emergency not only allows him to rule by decree, but also confers onto him the power to impose curfews, forbid demonstrations, and massively reduce the freedom of the press. Already, the time a suspect can be held in custody without charge has been extended from four to thirty days. This has raised concerns, but alone does not constitute an end the rule of law in Turkey – the declaration of a state of emergency is clearly regulated in article 120 of the constitution. The true cause for concern lies in the wide scope the Turkish constitution leaves for interpretation when it comes to executive power. Potential justifications for a state of emergency include, according to the constitution, “widespread acts of violence aimed at the destruction of the free democratic order” and a “serious deterioration of public order because of acts of violence.” What is problematic is that it is President Erdogan himself who decides when such conditions are met. As a result he has it within his power to continue the state of emergency until he has destroyed the challenge posed to him by his adversary Islamic preacher Fethullah Gülen’s movement. This raises concerns that the government had been handed a carte blanche to go also after dissidents without any connections to Gülen. Worryingly, Turkish authorities have so far been vague about how long the state of emergency will last. They have also not provided a convincing justification of the necessity to compromise the separation of powers, though temporarily, to the extent that the state of emergency does. The interpretation of when the threat to “democracy, rule of law, and rights and freedom of the population” identified by Erdogan has been resolved is still up to the president himself. Indeed, Erdogan already announced that the state of emergency might have to be prolonged the day after it was declared. The expected reform of the security forces may also further centralize power in the hands of the president. Billed as a means of coup-proofing the military, the reform will significantly increase civilian control. The military police, police, and coast guard will be subordinate to the minister of the interior, and the land, air, and naval forces to the defense minister. The chief of staff will no longer report to the prime minister, but rather directly to the president. These reforms have long been pushed by the EU. Unfortunately, in today’s post-coup context, they are unlikely to have their intended democratizing impact. Instead, their effect will likely be to guarantee the submission of Turkey’s security institutions through a “divide and rule” system that would pit different security agencies against each other. Indeed, it is difficult not to suspect that the actual aim of the reform is for Erdogan to simply acquire more personal power – and a further step to secure his long-lasting gains for a constitutional change towards an executive presidency. Erdogan’s rhetoric against the putschists and their alleged supporters abroad has been unmistakably aggressive. At the same time, however, there have also been gestures of reconciliation between the government and the parliamentary opposition. Indeed, following the coup attempt, all opposition parties condemned it in a joint declaration, and then decided unanimously to establish a commission of inquiry. This unprecedented unity among the ranks of the opposition springs from their common opposition to the Gülen movement, which is much stronger than their opposition to the AKP. This is particularly true of the pro-Kurd Peoplesʼ Democratic Party (HDP), whose leaders explicitly blamed Gülen and his followers in the judiciary and military for sabotaging the peace process between the government and the outlawed Kurdistan Workers’ Party (PKK). Before the coup attempt, the Turkish parliament had voted to strip HDP MPs of their legal immunity; now the issue has been moved to the back burner, the judicial officers and magistrates involved in this reform have been removed from office, and several generals entrusted with army operations against the Kurdistan Workersʼ Party (PKK), including Adem Huduti, were among those arrested. The reactivation of retired Kemalist generals, furthermore, could be explained by sheer need for experienced staff within the military, which has been under enormous strain because of the detentions. Together with a new, comparably soft approach to critical – but not pro-Gülen – media, however, the move is more evidence that the government’s focus on Gülen as enemy number one it creating space for a rapprochement with conservative-nationalistic and secular forces. Few observers, however, share the hope that the current civil peace will translate into a durable political and social reconciliation. The mistrust between different political and ethnic groups runs deep. Lynching incidents, violent attacks against members of the Alevi minority, and allegations of torture have contributed to this. Among the Kurdish population in the southwest of the country, there are increasing concerns that arbitrary restrictions might return under the aegis of the state of emergency. Further, many saw the role played by the mosques in mobilizing popular support for the government during and after the coup attempt as one more worrisome sign that religion and politics are growing more closely interlinked under Erdogan. People linked to the Gülen movement – whether by fact or rumor – are expecting particularly dark days ahead. For a few years the government has been working to massively roll back the influence of the movement in the media and educational institutions, going so far as to close and expropriate institutions including the Zaman daily newspaper and the Fatih University in Istanbul. Even the internationally known think tank International Strategic Research Organization (USAK) was recently closed by decree because of its alleged link to Gülen – an accusation that the institute’s leadership forcefully denies. Future careers in government or elsewhere could well be closed off for graduates and employees of these institutions, as was the case after the military coup of 1997. A wave of migration abroad is to be expected; the same goes for many young secular-liberal Turks, as they consider the alliance among the conservatives – be they Kemalist, religious, or nationalist – as hardly promising for their future. For the moment, the question of whether President Erdogan will share political power in Turkey – and with whom – is impossible to answer. What is clear is that the attempted coup and the reaction to it have triggered the most difficult crisis so far between Turkey and its Western allies just as Turkey has become one of the most strategically important NATO allies, as well as an EU partner that behaved “more European than many EU member states” during the refugee crisis in the words of Peter Altmaier, chief of staff at the German chancellery. Turkey’s location between the Black and the Mediterranean Seas makes it a key state in two ways. Turkey’s air and naval forces are active in the fight against terrorism along with piracy and arms and human trafficking in the Mediterranean. And Turkish soldiers are helping train Iraqi security forces for operations against ISIS and participating in numerous NATO- and UN-led missions – at present, over 500 are deployed in Afghanistan as part of the “Resolute Support” mission to train and support Afghan security forces. Amid the thaw in Russian-Turkish relations and domestic security needs, Ankara might also pursue a more open policy when it comes to both Damascus and Bagdad. Turkey’s current rapprochement with Moscow, however, coincides with reshuffles within the security establishment in favor of those more inclined to nonaligned and Eurasian perspectives – and Ankara’s rapid loss of trust in Washington. High-level US representatives have repeatedly and sharply criticized the direction in which Turkey’s domestic affairs are developing. President Barack Obama recently even refused to meet Erdogan personally during the Warsaw NATO summit. For his part, Erdogan has condemned the reticence of most Western states during the Egyptian coup that brought the military to power in 2013. And the fact that until now Turkey’s NATO allies have never publicly condemned any of the four sometimes brutal phases of military rule in Turkey since the country’s 1952 NATO accession has done little to build Erdogan’s trust in its allies commitment to Turkish democracy. If Erdogan is looking like the main winner from the coup attempt at home, the foreign party that has gained the most is Russian President Vladimir Putin. Not only was Putin the first to call Erdogan the night of the coup, he was also the first to invite him to a personal meeting afterwards. On the European side, the aftermath of the coup has not led to a boost in solidarity between the EU and Turkey against the threat of military rule, but rather to vehement finger pointing and sanction threats. The vast majority of the political elites of Western Europe see Turkey today as a democracy in name only, one that superficially fulfils the Copenhagen criteria while in fact constantly undermining them, especially where freedom of opinion and separation of powers are concerned. For the EU, the coup attempt came at the worst possible time, not least because it gives Ankara a strong moral position to politicize some of the EU accession criteria without formally withdrawing its application to join. In Turkey, for example, it is now heard that the EU cannot forbid Turkey from re-instituting the death penalty while at the same time pursuing a free trade deal with the US, which has failed to outlaw it. This argument might not attract followers in Brussels, but it certainly does find support in significant segments of Turkish society. From this point of view, what stands in the way of a Turkish accession is not Ankara’s demolition of the rule of law, but rather the allegedly racist and anti-Islamic reservations of Europeans. The EU’s ambivalent response to the coup attempt only helped these assumptions gain traction. No one can have any interest in a formal breakdown of the accession negotiations – with the exception of a few countries with which NATO and the EU have had problematic relations for some time, and anti-Western and antiliberal movements in both Turkey and Europe. The negative effects of such a breakdown would include enormous political costs, among them a significant reduction in the desirability of EU membership for both current and potential future member states. This would hit especially hard coming immediately after Britain’s vote to leave the union, and in the middle of a still-heated debate about how to share the burden of the refugee crisis. One might argue that the EU’s major failure in its handling of Turkey was its abandonment of its own ambition to use the accession process as an instrument for democracy promotion and transformation after 2004 – though it is now often forgotten in Turkey that it was the EU that pressed the military to withdraw from politics at the end of the 1990s, and that since 2002 the EU has encouraged several steps the AKP has taken to ensure civilian control over the armed forces. In March 2013, former Speaker of the Parliament Bülent Arinc stated that, in the eyes of the AKP, the EU’s assistance in taming the military was an important incentive for supporting the accession process. With that goal attained, however, neither side seems to have much enthusiasm for further integration. EU members signal little interest in a deeper relationship with Turkey outside of border control, refugee resettlement, and combating terrorism; Ankara, meanwhile, is mostly interested in securing foreign investment, opening markets for energy transport, and attracting tourism. Politicians from both camps are continuously stressing their mutual need – but the fact that the relationship is no longer one of deliberate choice is clear in calls from Western politicians to reduce EU pre-accession assistance at the very moment when a state of emergency threatens to dramatically roll back pro-European civil society. is Transatlantic Postdoctoral Fellow for International Relations and Security (TAPIR) at RAND Corporation in Arlington, VA.